Leaving Larry Shreeve's boat house for the last time. 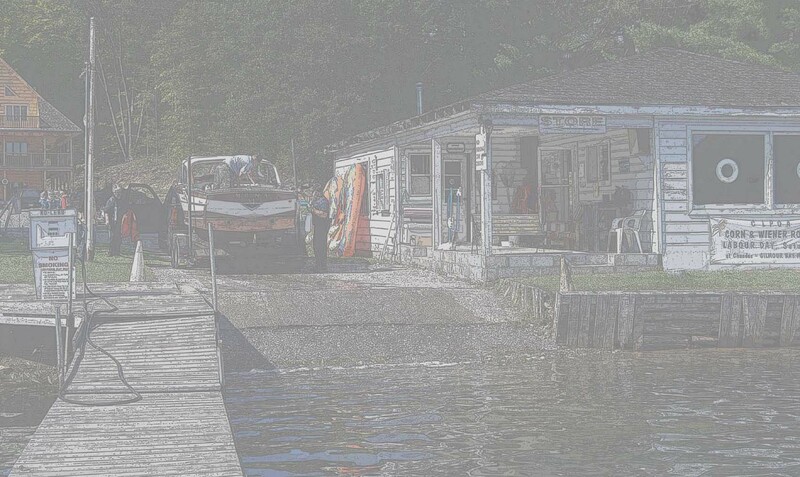 Larry's boat house is on Chandos lake near Apsley, Ontario, Canada. 9-2008. Under it's own power for a while, we were just checking to see if the boat was pumping water and since it seemed a little loud. When all the sudden the exhaust sound got much louder. (The rubber exhaust hose burned through. (This was within 1/2 mile of Larry's boat house. In this photo Bob is holding his hand over the exhaust pipe to prevent water from coming in the pipe. We had a safety boat following us since the boat had not been run for two to three years. The transom of this boat was in very bad condition, the rest of the boat is not too bad.